The long wait is over the return of one of my fave K-actresses so imma hoping 2018 brings back the other as well, if not in a project that airs this year then at least news that she’s picked her next role. 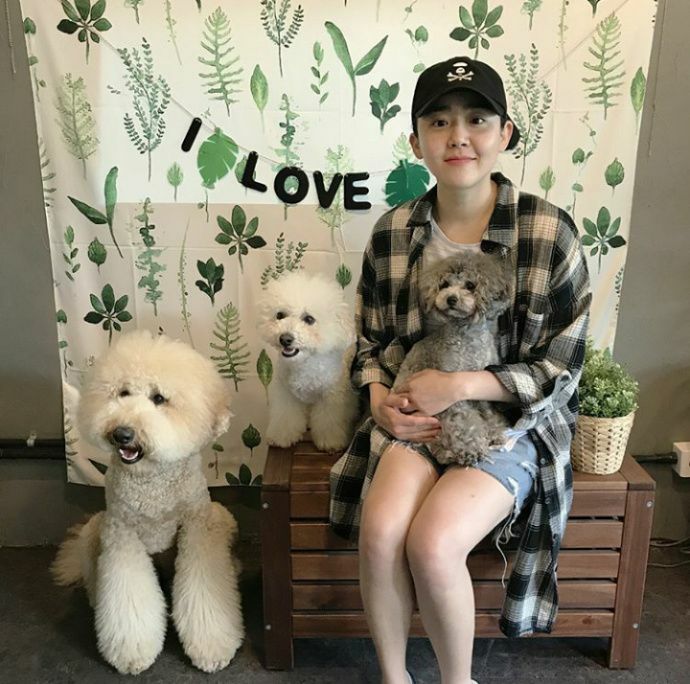 Moon Geun Young has been in recovery mode for the past year every since her health scare in March of 2017, though she made a K-ent return last October to promote her indie movie. I don’t think there’s a rush for an actress of her notable caliber in the industry to quickly come back but I do wonder which direction whether movie or drama she’ll pick next. 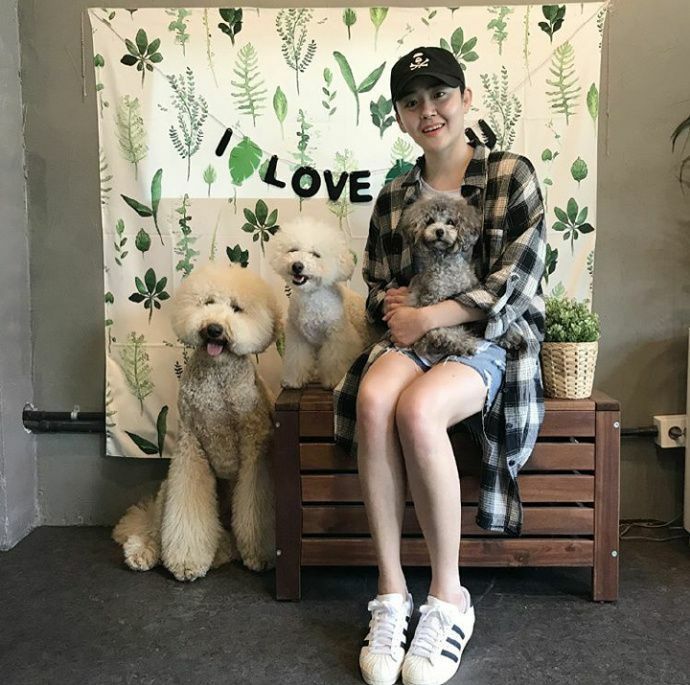 This past June she shared an SNS update with three cute dogs that resembled the doggo version of the Three Bears, papa, mama, and baby dog! I can’t tell if their are Bichons or Poodles or maybe Bi-dles or Poo-chons heh. She looks healthy!…..dogs are real. First pic shows no tongue hanging out and second pic head angle change. Wow she looks so pretty without makeup. I’m jelly. Hopefully we see her in new projects soon. This is such a ~healing~ picture. The dogs are beautiful and I love how laid back her style is. She is my fovorite Korean actress, but i wish she would or her namoo management stop accepting outrageous movies or drama that are out if this world roles, its not helping her career.How many good roles have they turn down. I heard princess hour was first offered to her. Honestly speaking it would been great if she played the lead role of that drama. Next, is the Moon that Embraces the Sun…that role was really made for her…Can’t wait to see you either on tv or big screen but please no more weird roles. She has been in the business long enough to know what she really wants. As much as we like to watch her, k-drama will not boost her career any bit. I think she is more interested to pursue different roles (ie. “weird” roles in your term) in various medias (e.g. musical theatre in 2016). She is so talented and smart, repeating sageuk dramas will be too mundane for her… just my opinion.